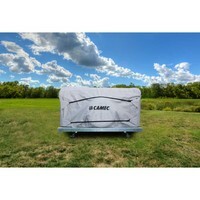 Camec 12-14ft Camper Trailer Cover - 3 Year Manufacturer Warranty! 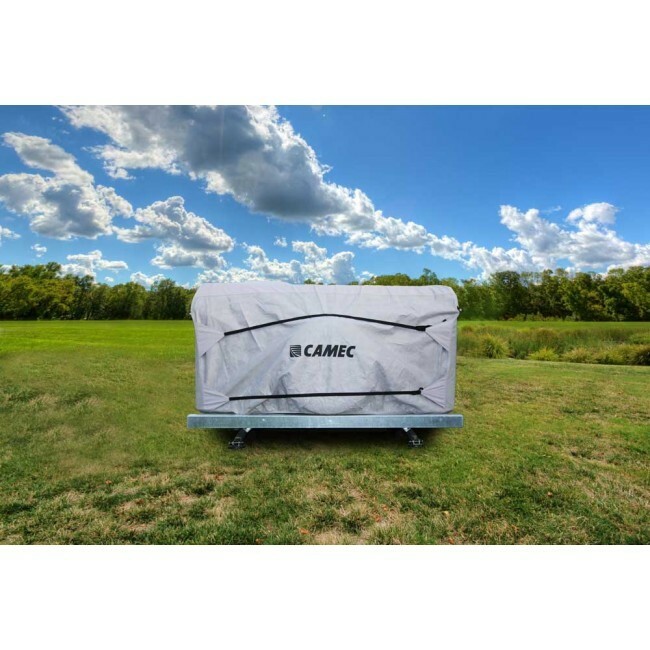 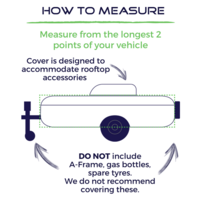 Affordable, all-weather protection for your camper trailer, delivered with Camec’s quality assurance, makes for an ideal camper accessory. 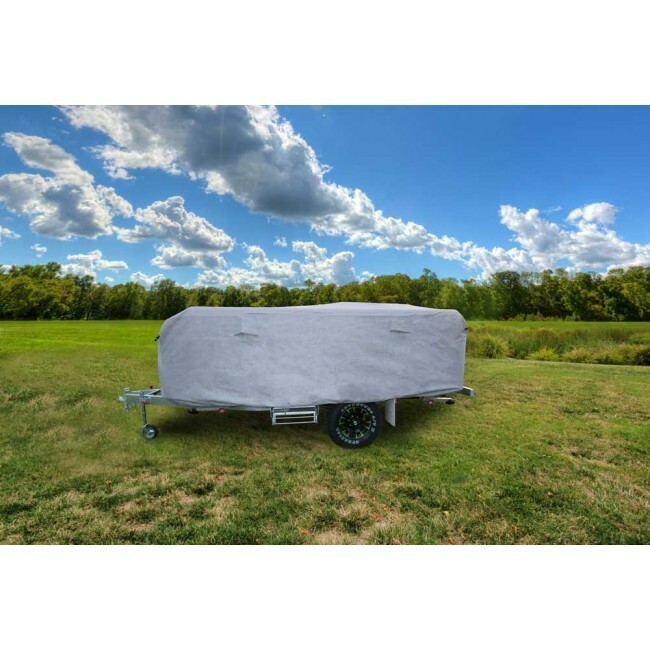 This camper trailer cover is suitable for trailers ranging from 12 to 14 feet in external length, and is equipped to handle harsh Australian weather conditions expertly. 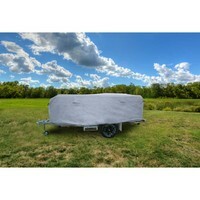 Made of UV stabilised materials, the cover shields your camper’s fabrics and furnishings from excessive sun exposure. 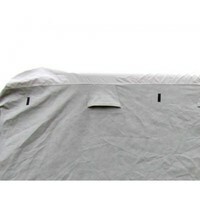 Its water resistant roof section and weather resistant sides prevent damage due to weather, bird droppings and tree sap. 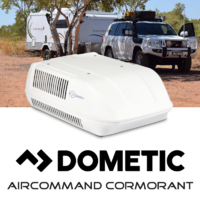 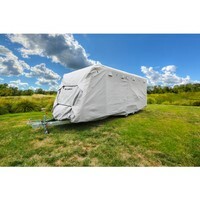 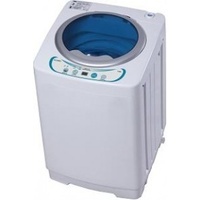 Additionally, the side panels of the cover are breathable, encouraging essential air circulation and preventing mould causing condensation from building up between the cover and the body of the camper trailer. Extremely durable, this Camec cover comes with extra reinforced corners that also feature double stitching to withstand frequent use and sharp edges. 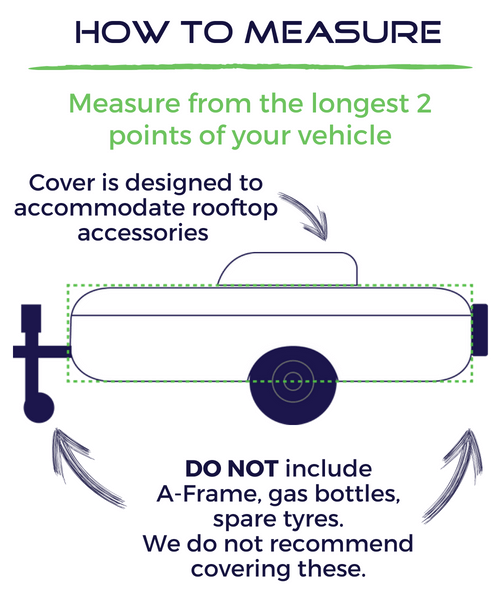 It is designed to ensure a snug fit around your motorhome, thanks to an elasticised skirt and two dual clip nylon straps each on the front and back. 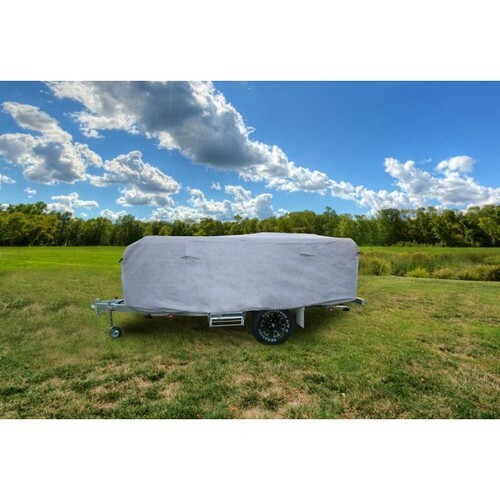 The lightweight cover is easy to install and remove, and comes with a soft, non-abrasive inner lining that does not scratch the exterior of your camper trailer.